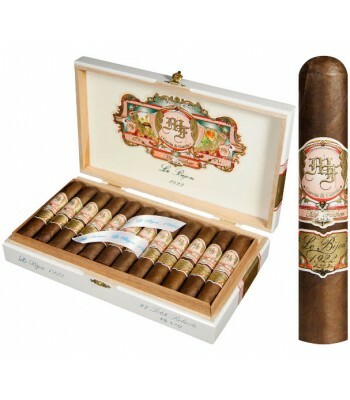 Product Description: The Le Bijou line honors Pepin Garcia's father born in Cuba in 1022. It differs from the original My Father in that it uses a Nicaraguan Habano Oscuro wrapper that is very dark, almost black. This full bodied stick is earthy and woody, with pleasant herbal flavors. 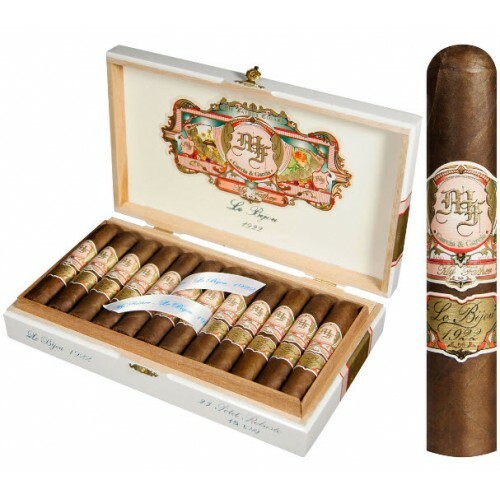 *All cigars listed are guaranteed to be fully matured and in perfect condition for smoking. * www.cigarsindia.in has been rated India's Best Online Store to Gift Cigars in India. We are India’s Largest and Trusted Online Cigar Store, and have been a favorite and reliable store to buy Cigars online in India, we truly understand Cigars, and hence take great care in making sure that all our Cigars are stored in temperature controlled humidors so that they deliver a great smoking experience for all our customers. We have been with the Cigar industry in India for more than 17 Years now, and many Cigar customers from around India have made us their personal supplier of Genuine Cuban Cigars and Cigars from other wonderful Tobacco growing nations such as Nicaragua, Dominican Republic and Honduras, also featured are some stunning Cigar Accessories and Pipe Tobacco. So if your are looking for a great Cigar experience we encourage you to get in touch with us and our panel of cigar experts will be more than happy to assist you with their vast knowledge of Cigars. We deliver Cigars to any location in India, and package your orders with great care, our staff is knowledgeable and friendly, and they will make sure that you have a smooth ordering process. We have a Cigar Smoking Room in Bangalore, where we feature a lovely collection of Cigars, with pristine ambiance for our customers to enjoy the finest Hand Made Cigars available in India, so if you are in town, we encourage you to pay us a visit. Had them years ago and loved them. I remember they were a bit thinner cigar at that time. REcently bought them, especially to share with new friends, and they loved them! Shared the website and so they could be new customers. Cigarsindia.in is a secure retailer of premium cigars at discount prices. Please note that Cigarsindia.in does not sell tobacco products to anyone under the age of 18 (or the minimum age in your local jurisdiction, whichever is higher). Cigarsindia.in does not sell cigarettes of any kind. Note also that it is unlawful to even attempt to purchase cigars below the minimum age. If you are not of legal age, please do not enter our site. © 2016 Cigars India.in. All Rights Reserved.